Boat is located in Gills Rock,Wisconsin.Please contact the owner @ 920-421-1621...Nice project to complete. Bottom finished with all New Mohogany planking over new plywood. Reused original side Mohogany planking. New top deck bow and stern Mohogany planking. All new white oak ribs. 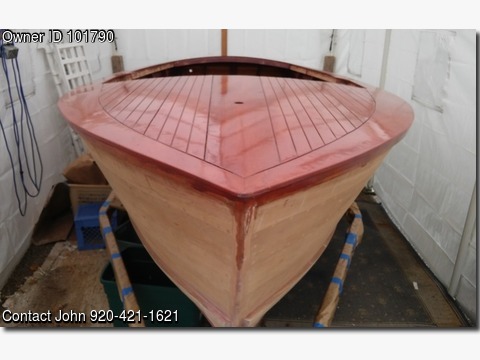 All work done per Don Danenburg book Wooden Boat Restoration Guide. Like new Four Winds trailer, single axle rated at 4000 pounds. Engine not in boat Chris Craft 6 cyl 1 carb 105 up. Also have extra manifold for 3 carbs 130 hp. ALL PARTS TO FINISH INCLUDED.